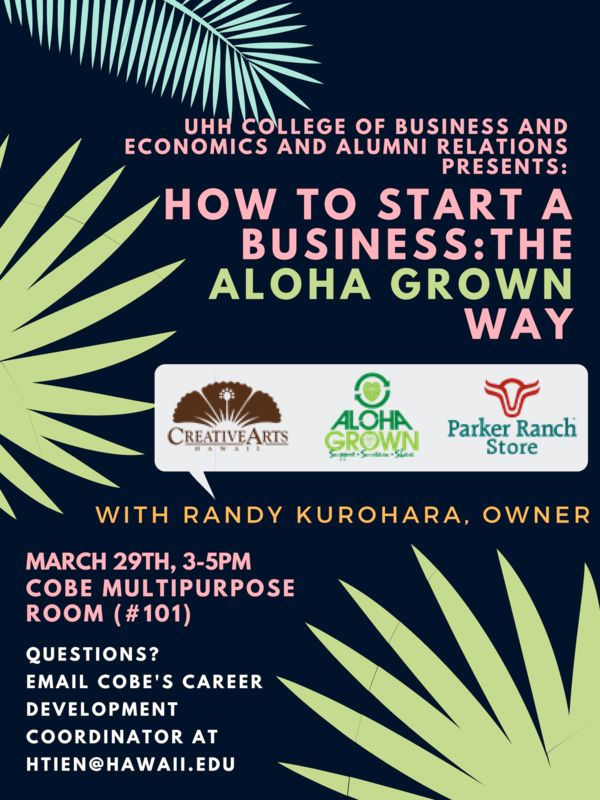 The workshop will focus on how to open a business in Hawaiʻi and is a collaboration of the UH Hilo College of Business & Economics and UH Alumni Relations. Randy Kurohara, the owner of Aloha Grown, Parker Ranch Store, and Creative Arts conducts the workshop in the CoBE Multipurpose Room. Randy is a real powerhouse and the definition of a true serial entrepreneur. He will trace his path to success and offer first-hand insight on business challenges of Hawaiʻi. 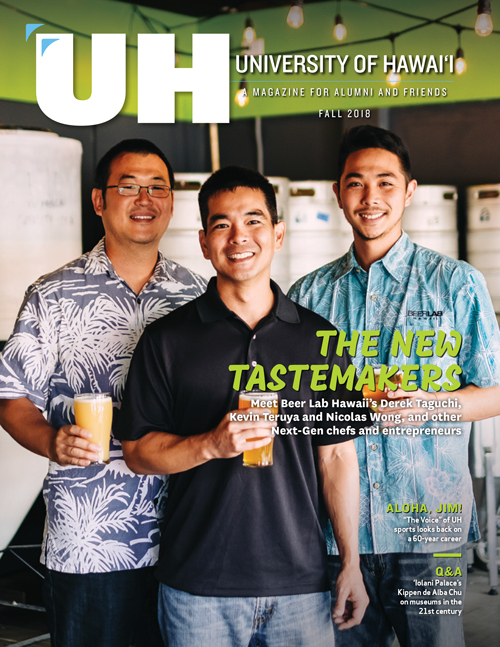 A longtime Hawaiʻi Island businessman, Randy graduated from the University of Hawaiʻi at Mānoa with a Bachelor of Business Administration degree in marketing in 1984. He is a member and past president of the Rotary Club of South Hilo; a director and past president of the Japanese Chamber of Commerce and Industry of Hawaiʻi; a board member of the Kona Kohala Chamber of Commerce, a member of the Hawaii Health System Corporation’s East Hawai’i Regional Board, an Advisory Board chair for the East Hawaiʻi Salvation Army, and emeritus board member for the Boys & Girls Club of the Big Island.